When I first saw mention of Jetpack for WordPress I thought that it was a game plugin (why aren’t there more?) for WordPress. But no, it is a plugin that brings some features from WordPress.com onto your site. I installed it only for the nice social buttons. They just seemed a be more functional and better laid out that other plugins, they look very neat. Also with Jetpack is a URL shortener and WordPress Stats too. The stats were not required, although at times useful. I had been running Jetpack for about a week and then yesterday and today I started running some new page speed tests on www.webpagetest.org as I had been having some problems with CSS caching. I think that I have fixed those problems but in the last tests had page timed out errors which were due to something called edge.quantserve.com/quant.js loading slow (or not loading at all). This had me scratching my head (really must shower of this blog). After a bit of Googling I found this thread wordpress.org/support/topic/plugin-wordpresscom-stats-httpedgequantservecomquantjs-after-uninstall which indicated that the problem was caused by the WordPress Stats program. The obvious solution was to disable WordPress Stats and keep all the good stuff. But that is not possible. 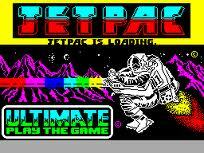 Its all or nothing with Jetpack, which seems very shortsighted. Web page load speed is a ranking factor now, so a stat program that affects speed will affect ranking. It’s the Schroedinger’s cat of on-page SEO. Analysing the traffic changes the traffic, and in some cases could kill it. The tough get going! Listening to Billy Ocean on the radio at the moment, great song. Not entirely relevant, but then this is my blog and I have full editorial control so can type what I like. Web development sometimes requires you to get tough, impersonal, ruthless even. Anything that under-performs gets canned. Take no prisoners. It is a shame because Jetpack looks promising with some good tools and more to come. But if it is going to kill your webpages then it just is not worth installing. Until Matt and his team configure it so that we can use the bits that work well and disable the bits we do not want then it is just a burden and could be the straw that breaks this camels back. I wonder how many more silly metaphors I can squeeze into this blog? W3 Total Minify interferes with the social share button posts/pages on Jetpack, though that is the only conflict. My main problem has been disc enchanced cache which does not offer any speed benefit, is infact worse on my hosting anyhow. Overall I am still undecided. I have google analytics but seems that jetpack stats are nice, can be accessed from a mobile phone, and give a good insight. Jetpack has potential, that is for sure. Is it worth it, not so sure. Well, there are other stat programs for WordPress, some may have good mobile access. Open Web Analytics seems pretty good. I had problems with W3 Total Cache and have since moved to WP Super Cache with Better WP Minify. Hope you have a lovely time Hilda! I have no idea who Mary Nui is, but best wishes!